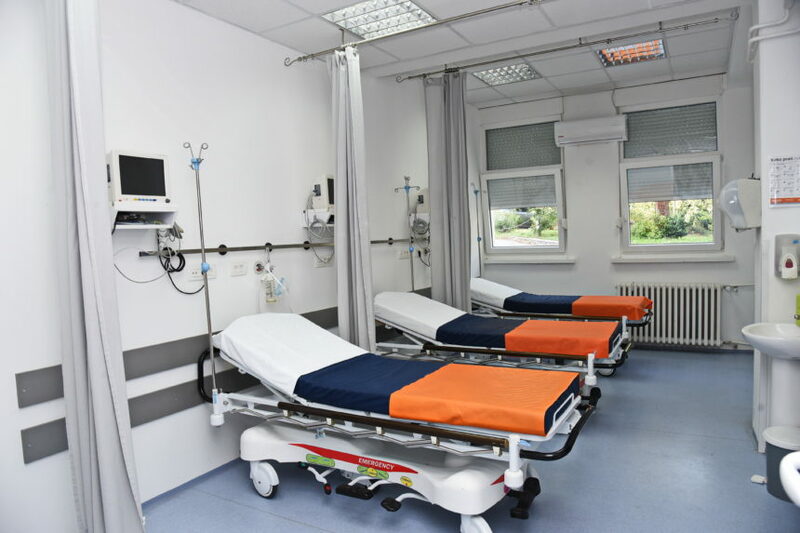 In General Hospital Kotor was done reconstruction of emergency hospital admission. On the ground floor of the main hospital building in the area of 156 m2, there is an area intended for providing services for patients requiring urgent treatment, either ambulatory or hospital treatment. Within this emergency unit there is an ambulance for the resuscitation of life-threatened patients and clinics, a surgical ambulance for the treatment of minor injuries, a room for observing patients with three beds, an auxiliary clinic, a staff room, a reception office, a corridor-waiting room, a sanitary facility and a warehouse. Equipping the operating unit is under way in the same unit. This will be the 3rd surgical room in the hospital, which should be restrained primarily by providing operative services in the daily hospital, hint conditions and traumatology. 143.064,26 Eu has been used for construction works and equipment so far. 143.064,26 Eu has been used for construction works and equipment so far. The funds are provided by the donation of Marin Med Montenegro and from their own funds. In the reconstructed space with new equipment, improved conditions for treatment of patients and the work of medical personnel are significant. Approximately 10,000 patients are treated annually through emergency hospital admission.